I am part of the core faculty on the Contemporary Yoga Teacher Training Programs. I teach regular courses and workshops, mostly over the weekends. Please see my website for the full details. 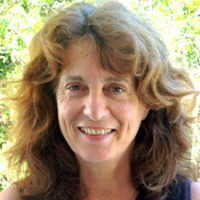 Dyana Wells has taught chemistry, anatomy & physiology, yoga philosophy and meditation for the past 25 years, including at a natural therapies college, and more recently on a yoga teacher training program, where she is a director. The focus of all Dyana’s investigating and avid questioning has been to understand life and how to live well. She has a BSc majoring in Botany and Zoology, MA (Hons) in philosophy; MCW (Hons) in creative writing, Dip Yoga Therapy from Wellpark College, and a Cert Counselling. Dyana has been studying Tibetan Buddhadharma for the past 30 years, in the lineage of Canadian Namygal Rinpoche. She regularly embarks on long retreats to deepen her understanding of meditation, the nature of mind and the purpose of life. Dyana lives in a small seaside village overlooking the Hauraki Gulf, where she writes and gardens, and has three children and four grandchildren. She teaches regularly in Auckland city. I love writing and have written three novels: The Anchors in an Open Sea Trilogy. Sailing into the full catastrophe of living! Again see my website for full details. All my life I’ve had a profound sense of wonder and curiosity about life – my life, our lives – and our world, both inner and outer. That sense of curiosity and investigation has both challenged me and also formed the basis of my experiences so far – whether sailing, practising yoga, meditating or climbing mountains. And all the while there’s been an almost-scientist looking over my shoulder, yearning to explore and test any new experience, theory or learning. Dyana brings an inspiring enthusiasm and genuine curiosity to her teachings. Her wealth and depth of knowledge and experience are shared with a passion and delight, encouraging a spirit of enquiry and nurturing a love of learning in her students. Meditation practices were brilliant, as were the talks. A wealth of knowledge. Dyana - You are shining in this teaching space and your authenticity is inspirational. I hope we cross paths again. Dyana - I’m going to miss your A&P classes. I really enjoy your teaching and knowledge. Thank you so much. Amazing, beautiful, sparkling, alive, awake, kind. Dyana, thank you. Thank you Dyana. I really appreciate your many pearls.